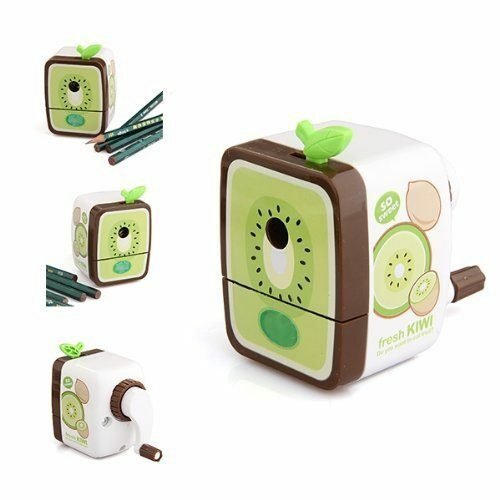 Kiwi Pattern Pencil Sharpener Only $4.48 SHIPPED! You are here: Home / Great Deals / Amazon Deals / Kiwi Pattern Pencil Sharpener Only $4.48 SHIPPED! It’s back to school time, and I have a nice deal on a pencil sharpener for the kids! Get this fabulous Kiwi Pattern Pencil Sharpener for $4.48 + FREE shipping! This is a great one for the kids to keep on their desks at home. And, I’m betting they’ll have fun using the crank to sharpen their pencils!